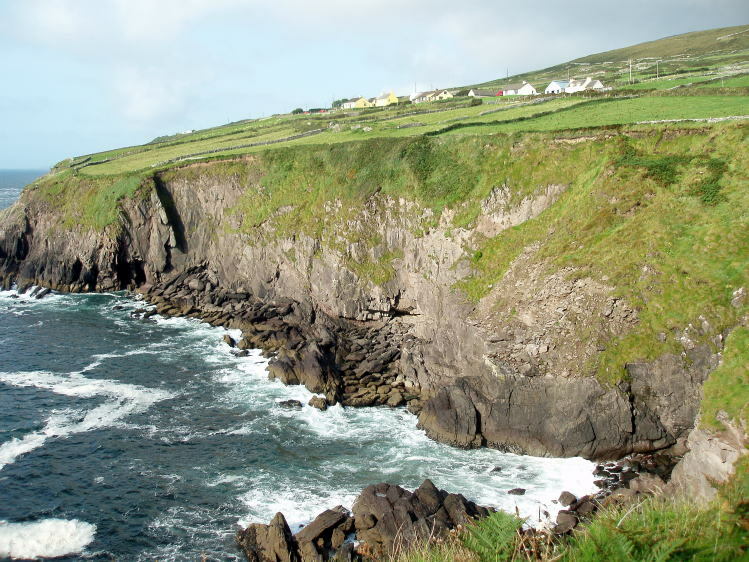 A beautiful Dingle Peninsula sea coastline at the far west end of Ireland, photographed in September 2006.
is Dublin. 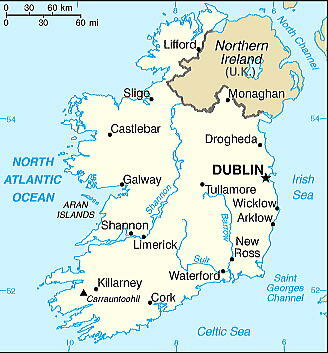 North Ireland (U.K.) covering the remainder in the northeast, which capital is Belfast. 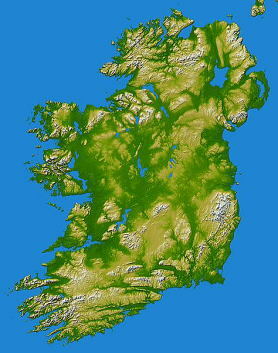 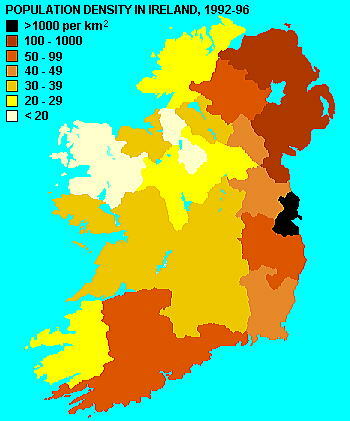 (R) Topography of Ireland.Color-coding is directly related to a topographic height. 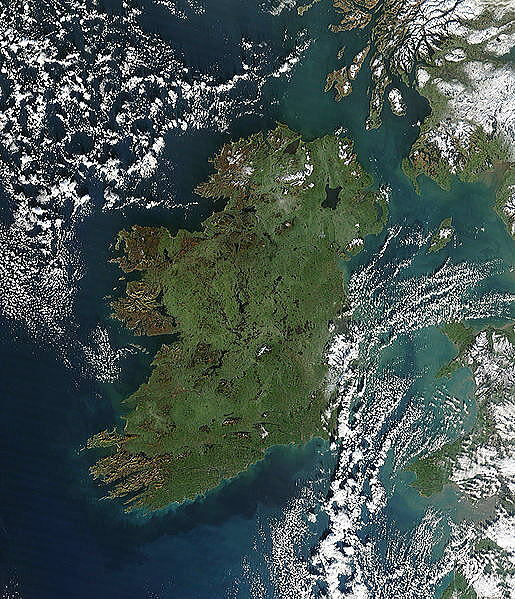 it changes to the color of white at the highest elevations.